The always fun and successful Banbury Community Action Groups Give or Take event is going al fresco! 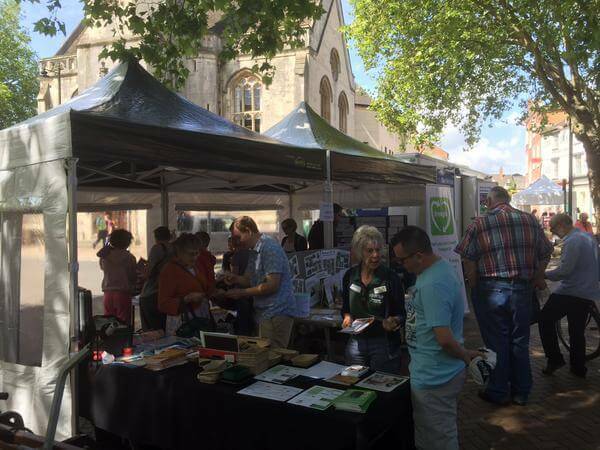 As the British summer is so hot and reliably dry, the community group are hosting their regular event in the Banbury Market Place, available to all local residents free of charge. The event allows people to bring unwanted items along and maybe take some new things home again. Local folk can also just pick up a new DVD, bike or table lamp, all for free, and nothing going to landfill. The previous events have rescued hundreds of kilos of items from being thrown away, and most has found new homes. The outdoor event, will also have electrical testing to make sure any electrical items can be dropped off, tested and then available for people to take. So come along, drop off some items, take some away, have a chat and see what is going on at Banbury Community Action Group.